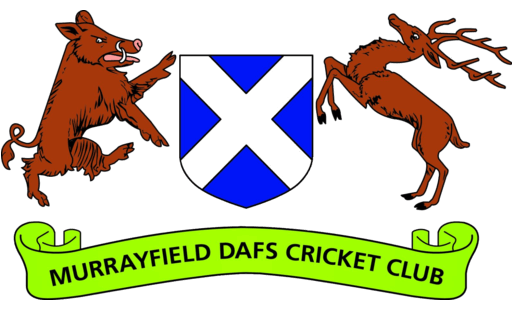 MDAFS III 162-4 (D Cornish 62, A Malik 42) beat RHC III 74ao (S Modi 3 for 12, J Gutteridge 3 for 13, A Kemp 2 for 5) by 88 runs. The 3s returned to Fortress Roseburn looking to extend their winning start to the season with RHC 3s the opposition standing in the way. On a brilliantly sunny day and with the return of several 3s regulars, James won the toss and decided to have a bat on a Roseburn artificial that looked about as good as it ever has. Graham and Sandeep opened up the batting and looked resolute in the face of a decent opening spell from the RHC bowlers. The score had moved steadily to 12 before Graham (9) was caught in a moment of indecision between smashing a wide ball and letting it go and only succeeded in giving an easy catch to the fielder at point. Sandeep (1) followed soon after, bowled by a good ball from RHC’s left arm seamer Schafer. This brought Dean and Ali together at the crease and they set about building an excellent partnership. With a combination of big hitting – including two massive 6s from Dean – and hard running putting real pressure on the opposition bowlers and fielders, Dean (65) and Ali (43) put on a remarkable 122 run partnership. Both fell in quick succession to a narrow run out (Dean) and a tired shot (Ali), with the hot weather and repeated quick singles taking their toll. Vivek (11) and Lindsay (11) came together for the last few overs with instructions to up the scoring rate which they did very effectively, adding 22 runs off the last 19 balls. This left us with an imposing looking 162-4 at tea, giving the bowlers more than enough runs to play with. Vivek and James opened up the bowling, with Vivek (4-1-6-0) bowling an exceptionally good off stump line and finding extravagant movement away from the opposition right-handers in a spell that more than deserved a wicket. Meanwhile, James (6-1-13-3) took 3 wickets in quick succession; bowling the dangerous RHC opener Moore for 1, having the other opener LBW for 2 and bowling RHC number 3 Ali – who had scored a 50 the previous week – for 5. The skipper turned to Dean (*BOWLING FIGURES REDACTED*) for an over which is best forgotten about (sorry Deano!) before introducing Sandeep’s spin and Ali’s accurate medium pace to the attack. This brought a flurry of cheap wickets with Ali bowling the well-set West with a ball that swung in to middle stump. Sandeep (6-3-12-3) then took 3 quick wickets, with Dean taking a sharp low chance, Vivek holding on to a well-stuck pull shot and James turning a reasonably easy chance at mid-off into a dramatic rolling grab complete with a ridiculous celebration. Ali (5-1-20-2) had the opposition number 9 out soon after with Neil taking a good grab behind the stumps. The skipper then turned to Archie’s fast-developing leg spin, having read several opinion pieces on the value of a good leg spinner in limited overs cricket, and was duly rewarded with Archie (1-0-5-2) snagging his first 2 senior wickets inside his first over. The first was well held by Lindsay at mid-off but the second was a quite spectacular diving caught & bowled to wrap up the innings and continue the 3s impressive winning streak. Another big win for the 3s against a very useful RHC side and some hugely impressive performances throughout the team!